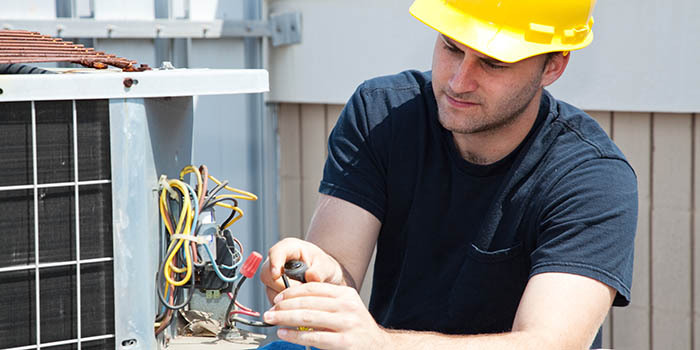 Check out some of the most common, frequently asked questions related to heating, cooling, plumbing, & electrical issues & inquiries we get at Bonfe. Don’t see an answer to your question? Call us at our Minneapolis Office (612-206-3097) or our St. Paul Office (651-621-8821) & one of our representatives will provide you with a solution. You can also schedule an appointment with one of our trustworthy technicians, they’ll come out to your home and answer & address any questions or concerns relating to your homes HVAC systems. Call Bonfe today! Repaired Quickly. Repaired Correctly. A: Heating and AC (HVAC) systems should be serviced at least once per year. 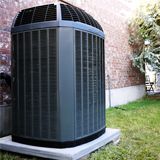 It is best to have the Heating tuned-up in the fall and AC in the spring before heavy use occurs. Call Bonfe’s to have your system tuned up. Q: How important is to get a system that it’s the right fit for my home? If you get a system that is too big, it may heat or cool your home too fast and you won’t feel comfortable. removed from the air causing you to feel sticky, and it could even lead to problems with mold in your home. 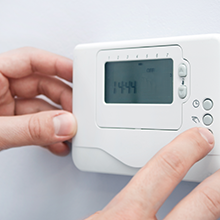 Short starts and stops will also shorten the life of your system and raise utility bills. If the unit is too small it won’t be able to get the job done in your home, this is especially true during extreme weather. The systems will have to run constantly again raising utility cost and reducing the life of the system. will work best for you and your home. A: It is recommended you change your filter every thirty days for best performance. This can vary depending on your furnace and filter model. Bonfe’s offers high-quality filter systems, which may only require changing your filter 2 times per year rather than 12. Q: Should the thermostat be set at ON or AUTO? A: Variable speed equipment utilizes the fan ON mode very well. This method constantly circulates the air keeping temperatures even and takes advantage of air purifying equipment. Q: What maintenance can I do myself? A: Keeping filters clean in furnaces and keeping foliage away from condensers (12′) are the best things you can do to keep your equipment running smoothly on your own. Call Bonfe’s for annual clean and checks to ensure your equipment has a longer life. We will perform maintenance and troubleshoot. Q: If I have a boiler can I have air conditioning, air cleaning, or central humidification? A: Yes, there are options for homes with boilers. Contact Bonfe’s for more information on these options. Q: Why should I get my equipment serviced? A: Servicing your Heat and AC (HVAC) systems annually: increases dependability; locates any problems; allows the unit to perform at its maximum efficiency, therefore lowering energy costs, prolonging the lifespan of the unit, and ensuring that the unit is operating safely and healthily. Q: When my A/C cycles on, my lights blink. That normal? A: Yes. This is a common occurrence when large motor/compressor loads start. These devices cause a minor momentary voltage drop, demonstrating itself as the blinking in your lights. This has no negative effect on the electrical equipment within your house. A: Usually drains are clogged because people are not careful of what they put in them, especially in the kitchen. Other drains, like in the bathroom, get clogged because of the oil residue from soaps, shampoos, and hair. It is recommended that you are conscious of what you put down your drains and treat them regularly with a drain cleaner such as Bio-Clean or RootX, cleaners available to plumbing contractors. Order this from Bonfe’s today! A: Usually when a faucet is dripping the problem has a relatively simple solution. The internal mechanisms need to be rebuilt or replaced. This is an easy and inexpensive fix. Did you know that you can extend the life of your washers by turning off your faucets gently rather than forcefully? 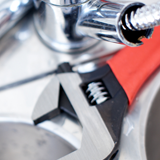 Q: How can I prohibit leaking pipes? A: Take the time every once and a while to inspect your pipes. If rust or lime is depositing on them, this may indicate a leak is starting. If this is happening, contact Bonfe’s to address the problem. By performing an occasional inspection you could stop a small problem before it turns into a large one. Leaking pipes can damage floors and belongings and become much more costly than if the problem was detected early. A: You should call Bonfe’s right away. Leaking water heaters usually indicate the bottom of the tank has rusted. There are really no good repairs for this problem. You most likely need a new water heater. A: This is not only an annoyance but also a waste of water and money. Leaky toilets can cost almost $100 extra per year on your water bills. If the toilet continues to run into the bowl after the toilet is flushed, it indicates that some part of the mechanism is out of order. Sometimes a little jiggling of the flush valve mechanism solves the problem. Otherwise, you may need to replace the entire mechanism. Contact Bonfe’s to diagnose the problem. Maintenance is easy. Grinding small bones and eggshells actually helps clean the disposer by scraping away stubborn deposits or citric acid and pulp. Grinding a little ice is another way to clean deposits and get rid of odors. Q: How do I reset my breaker when it has tripped off? A: First, disconnect any additional devices that may have caused the breaker to overload and trip. Breakers are mechanical devices and must be turned all the way off before turning back on. Remember this is a mechanical device, so this may require several attempts. If this fails to reset the breaker, there may be a more serious problem. Contact a licensed electrician in your area. Q: I have surge/lightning protection on my home. Am I totally safe from lightning strikes? A: No. Surge/Lightning Protection only offers additional levels of protection. Nothing can guarantee completely against mother nature and where she chooses to strike. Q: What does it mean when my fluorescent lights are flickering or cycling on and off? A: Flickering may indicate impending bulb failure, minor power fluctuation, and/or improperly installed bulbs. Cycling on and off is usually a clear indication of ballast and/or bulb failure. It is recommended when replacing a ballast to replace bulbs as well. Q: If I have surge/lightning protection on my main service should I use point-of-use surge plugins at my TV, stereo, computer, etc.? A: Yes. Mainline surge is no absolute guarantee and any additional surge protection downstream in the system offers a greater level of protection; though, nothing is absolute when it comes to the power of Mother Nature. Q: Can I hang a paddle fan where a light is? A: Yes, but first you must make sure the electrical box is properly braced and rated for the weight and torque of the paddle fan you are installing. Q: I have a 110 volt outlet on the exterior of my home. Can I plug my Christmas lights into it? A: Yes. Within reason; if the quantity of lights creates a load greater than the capacity of the circuit breaker, the breaker will trip off. In this event, additional circuits may be required to accommodate your holiday display. 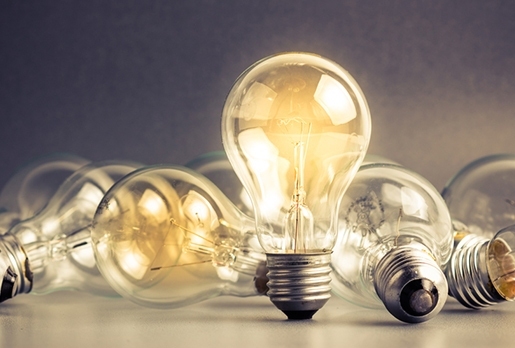 Q: Can I dim fluorescent lights? A: Yes. Dimming fluorescent requires not only a special dimmer, but also special fixtures. You cannot place a typical incandescent dimmer on existing fluorescent. Q: I have a 110 volt convenience outlet at my dock. Is this enough to power my new boat lift? A: No. With few exceptions, i.e. davits, a boat lift requires at least a 20Amp dedicated 110Volt circuit and possibly as much as several 30Amp dedicated circuits. Q: I have a new home. Why does my refrigerator or freezer, located in my garage, keep going off? A: Unless you made provisions with the builder for a dedicated circuit, the outlets in your garage are GFCI Protected per National Electrical Code. This device will not tolerate the additional resistance load created by refrigeration equipment. The GFCI senses there is a fault, and therefore trips off. The only cure to this problem is to provide a dedicated, non-GFCI circuit allowable by code. Q: Why does my recess can light cycle on and off since I put a larger wattage bulb in? A: Modern Recess Cans are rated for a maximum wattage bulb and are equipped with a thermal device that does not allow a bulb larger than that rating? If a larger wattage bulb is used, as the excess heat builds up, the thermal device will shut the can off until it cools. This is a safety device to protect your home against fire. Q: Can I plug my coffee pot and toaster oven into the same kitchen counter outlet? A: Yes. Though, if the two loads exceed 20amps, your breaker will sense overload, do its job, and trip off. Under this condition, you must plug one of the appliances into a different kitchen outlet on a different circuit, in order to balance the load. Q: Why do the bulbs in my exterior fixture burn out so often? A: This is usually caused by several factors. Larger wattage bulbs which cause excessive heat build-up shorting the life of the bulb. Helpful hints in the solution to this problem should be to use only brand named bulbs and try to buy 130Volt rated bulbs instead of the normal 120Volt rated bulbs. This should significantly extend the life. Q: My smoke detector keeps chirping. What does this mean? Q: What should I do if my lights, switches and receptacles don’t work? A: Check to see if the outlet is on a switch. Check and reset GFCI outlets and circuit breaker. Check light bulbs and replace if necessary. Q: Why do I blow fuses or why does my circuit breaker trip? A: Except in the case of ground fault interrupters, which are susceptible to moisture and/or weather conditions, fuses and circuit breakers should not trip. Check to see if some type of plugged-in appliance is causing the problem. Q: What causes the lights in my house to flicker? A: Central air conditioning and heat pump condensers may cause a noticeable slight dimming on start up. Lights may flicker or dim due to the start-up of some appliances or motor driven equipment. Check with the local utility company for possible defects in supply source or for the utility switching to other utilities for supply. Q: What is a GFCI device or breaker? A: GFCI stands for Ground Fault Circuit Interrupter. In layman’s terms, this device protects you from electrical shock. When it senses the slightest increase in resistance resulting from ground fault, (i.e., the use of electrical devices in or near water), it trips off to protect you. Q: What are the red and black buttons on my GFCI outlet? A: The black button is a test button and when pressed, should deactivate the outlet and any other outlet fed from it – Indicating a properly functioning device. The red button is the reset button that you depress to reactivate the outlet or outlets in the event of deactivation resulting from a fault. Q: Can I plug any 110 volt device I wish into my regular 110 volt outlets throughout my house? A: Yes. Though, if the device exceeds the capacity of the circuit, the breakerwill trip off. Q: What is the difference between a breaker panel and my old fuse panel? A: Both devices, either breaker or fuse, are designed to trip (turn off) in the event of an electrical overload, i.e. 20Amps of electrical load on a 15Amp circuit would cause a trip. The only difference is that a breaker is mechanical and may be reset. Whereas, a fuse is one time only and must be replaced. Please Note: Modern breakers are much more efficient and offer greater levels of protection.